To show the graphics card operating status more accurately, Afterburner provides a complete monitoring function: all important information including the GPU core clock, memory clock, temperature, voltage, and fan speed have a real-time on-screen-display monitor in games and real-time information in Windows Tray Icon. All the adjustments can be saved as 5 profiles, users can quickly switch to different settings with hotkeys. The new version of Afterburner not only supports the latest NVIDIA GeForce 500 and AMD Radeon HD 6000 series of graphics cards, but also adds the Predator in-game video capture function. Gamers can now capture all of their most intense moments in their favorite games and share them with the world on sites like YouTube. You can use the MSI Afterburner for Android to monitor and overclock your machine from your Android device. To use the MSI Afterburner App you must have installed the MSI Afterburner Remote Server on your computer. To access your machine from your Android device you must first download and install the Remote Server for the download links found here. Once you download the MSIAfterburnerRemoteServer.zip file from TechSpot, extract the file to your computer and run MSIAfterburnerRemoteServer.exe. Once installed it should appear in system tray. Click on it and copy the bottom IP address shown (you will need it for the MSI Afterburner App). 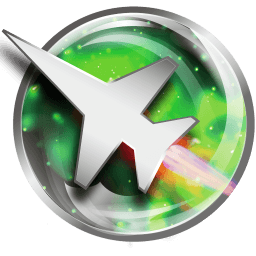 After downloading the MSI Afterburner App for Android on your Android device and installing MSI Afterburner Remote Server on your computer, open the app and click on settings. In settings select 'Host IP Address' and enter the IP address you got from the MSI Afterburner Remote Server (it should be something like 192.168.101.22:82). Once you enter the IP Address your Android device will automatically connect to your personal computer.